Buying furniture for the nursery introduces yet another set of environmental and health concerns. Furniture such as cribs, dressers and rocking chairs is constructed of either wood or synthetic materials or some combination. Then the furniture is usually painted or stained with a variety of materials, which are typically high in VOCs and other toxins. 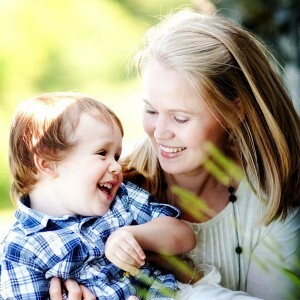 In order to reduce your child’s exposure to toxins, choose solid, unfinished wood furniture for her nursery. Other furniture materials, such as particleboard, MDF (medium-density fiberboard) and wood veneers, are plentiful and inexpensive. But they are often cheaply constructed (ensuring you will have to buy a new piece of furniture in the future), and they are composed of toxic materials that can off-gas VOCs and formaldehyde. If you can’t afford solid wood, formaldehyde-free MDF furniture might be a good option for you. Upholstered furniture can have foam padding and synthetic materials so focus on products made with natural materials such as organic cotton or wool (see the Green Bedding Materials discussion for more information about the toxicity of these types of products). When your baby is gumming the crib rail, you don’t want to have to worry about what she is ingesting from the paint or stain on it. Pay attention to what is being used to finish your furniture. Typical furniture is coated with high-VOC paints and stains that are also host to a variety of other toxins. Even low- or no-VOC paint options can be filled with dangerous chemicals. Look for non-toxic, water-based options such as milk paint or non-toxic latex paint (see discussion on Paints and Wall Coverings). If you are buying used or antique furniture, be on the lookout for lead paint. Lead can exist even in fine dust particles so use caution when refinishing or even just using older furniture. If you are looking for storage options for toys, clothes and other small items, avoid plastic storage bins and try some natural options such as woven baskets, canvas bins, fabric or leather boxes, durable cardboard boxes (Ikea has a good selection) or wood containers. Local – Choosing furniture constructed nearby and from locally harvested wood ensures that your purchase will have a smaller footprint on the earth by minimizing the resources needed to transport the pieces. And you will be supporting local businesses. Salvaged/Recycled – If possible, choose wood furniture constructed of salvaged or recycled wood. No trees had to be cut down to construct it and you get all of the benefits of natural wood. Well-Made – If you choose a well-constructed piece of furniture, it is likely to last you a lifetime. You will be helping the planet by not having to cut down more trees later on to replace the piece and you will be helping your wallet. FSC-certified – The Forest Stewardship Council certifies wood that comes from responsibly managed forests. Used/Antique – Choosing used or antique furniture is the most eco-friendly option because it reduces the number of trees that need to be cut down. 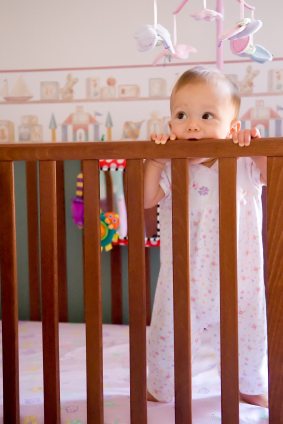 Just make sure that the furniture conforms to current safety standards, especially in the case of cribs. 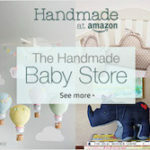 Click here for a list of green baby furniture. One toxin of particular concern is formaldehyde. Formaldehyde is used as a glue or adhesive, in drapes and other durable fabrics, and to make pressed wood products such as particle board, plywood, paneling and fiberboard. You don’t have to touch formaldehyde to be exposed to it – we breathe it as it off-gases into our air. Formaldehyde is a known carcinogen and simply breathing the fumes can cause irritation of the skin, eyes, nose and throat. Another toxin commonly found in furniture foam, such as in couches and mattresses, are PBDEs (or Polybrominated diphenyl ethers). PBDEs are used as flame retardants and can also be found in television, computers and wire insulation. PBDEs are shed as dust, and then we end up touching or swallowing them. They have been linked to damage of the liver and kidneys and can affect the brain and behavior. According to the Center for Disease Control and Prevention, the highest levels of PBDES have been found in infants and toddlers.